IRELAND HAS ONE of the highest rates of hate crime against people of African background and transgender people in the EU, but has no laws to address it. That’s according to a new report to be launched this afternoon by the Irish Council of Civil Liberties (ICCL). The report – titled The Lifecycle of a Hate Crime: Country Report for Ireland – find that Ireland is “seriously deficient” when it comes to addressing hate crime in the state. According to the authors, in Ireland, from the point at which a victim reports a crime to An Garda Síochána to the point at which a judge sentences an offender, the hate element of the crime is filtered out of the criminal justice process. This is despite Ireland being significantly above the EU average when it came to people from certain groups reporting having been subjected to hate crimes. A separate report published in December of last year by the EU Fundamental Rights Agency (FRA) found that 21% of people surveyed from a sub-Saharan African background experienced six or more physical attacks due to their ethnic or immigrant background in the five years preceding the survey. This compared with an EU group average of 9% – and made Ireland the highest ranking in this area. In relation to transgender rights, a 2014 FRA study found that Ireland recorded the second highest rate of hate-motivated violence against transgender people in Europe. A total of 13% of trans people surveyed reported having been physically or sexually assaulted or threatened with violence, in attacks either wholly or partly motivated by transphobia, in the 12 months prior to the survey. According to Emily Logan, Chief Commissioner of the Irish Human Rights and Equality Commission, Ireland has a responsibility to ensure that hate crime is not tolerated in society. “Hate Crime has a real-world, oppressive and damaging effect on those who fall victim to it,” she said. 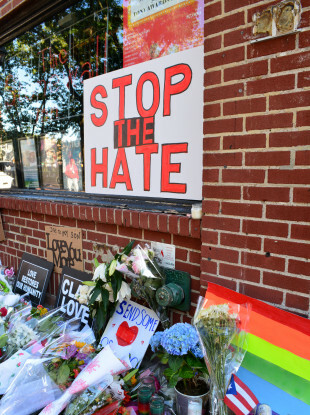 Hate Crime can cause people to withdraw from society and avoid expressing their identity. Liam Herrick, executive director of the ICCL, said that the report identified “significant gaps” in Ireland’s laws which needed to be addressed. “This report identifies significant gaps in Irish law, policy and criminal justice practice around how we respond to the problem of hate crime,” he said. This project has also afforded us the opportunity to benefit for the experience of other countries who have grappled with this issue and points to how balanced and effective responses to hate crime can be developed. Ireland currently is one of a small number of EU countries that does not have specific laws around dealing with hate crimes. Email “Ireland has the highest rates of some hate crimes in the EU, but no proper laws to address it”. Feedback on “Ireland has the highest rates of some hate crimes in the EU, but no proper laws to address it”.